our food and water sources, in addition to the unwanted ingredients found in processed foods and beauty products. As such, hazardous chemicals and their residues are found in our body. Did you know that hundreds of billions of dollars are spent in Canada and the US each year on toxicity-related diseases including auto-immune disorders, cancer, reproductive and hormonal problems, and neurological disorders? 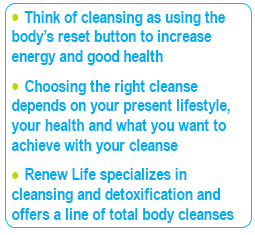 So yes, there is value in healthy cleansing – two to four times per year. Cleansing assists the body’s pathways of elimination (liver, colon, lungs, kidneys, skin, blood and lymphatic system) and supports their ability to detoxify unwanted substances to minimize the risk of illness and promote optimal health. Cleansing formulas are designed to help the organs of elimination and the natural processes by which the body rids itself of toxins and waste. There are cleanses that target specific organs, such as the kidneys or liver, while others target the full body. cleanses, and microbial/parasite cleanse to help you better align with your required outcome. They have created effective, simple-to-use products that have been designed without the use of harsh fibres or habit-forming laxatives. If your diet includes the consumption of fish and animal proteins or you have spent time travelling abroad, you may want to consider a parasite cleanse, such as the Renew Life Parasite Cleanse. If you are dealing with the stubborn symptoms of Candida, consider the Renew Life CandidaGONE Cleanse. Looking for overall immune, colon and blood cleansing? Consider a more detailed cleanse like CleanseSMART 30-day program, which helps the elimination of all channels in the body. 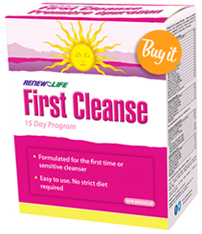 If your colon is a bit sluggish and bowel movement is not daily, try a two-week cleanse, such as Renew Life First Cleanse to get things back on track. If you have concerns with skin, overindulgence, general digestion or entering into menopause (women) or andropause (men), try Renew Life LiverDETOX Cleanse to ensure optimum flow of much-needed liver enzymes. 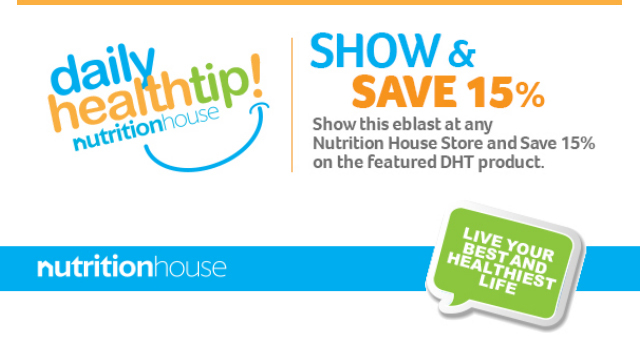 We suggest that once you have completed your cleanse that you use Renew Life FibreSmart either in powder or capsules. It’s not like other fibres, it’s not constipating and can help to keep you regular. You should also take a probiotic to replenish the good bacteria in your gut. A good probiotic such as Renew Life Ultimate Flora Probiotic30 billion helps provide a healthier environment for the gastrointestinal tract and keeps all the moving parts from digestion to excretion functioning as well. 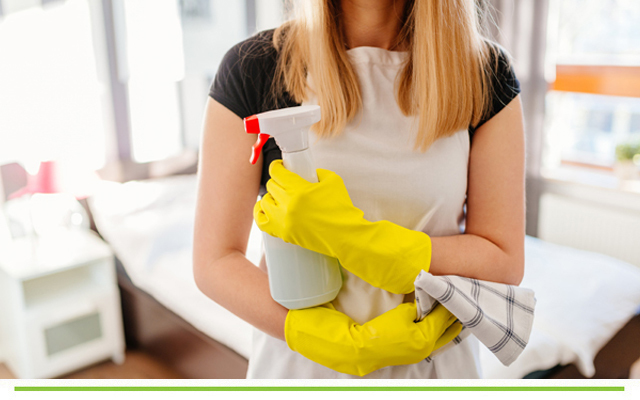 Before you start any cleanse speak with your health care provider to ensure that there is no interference with your medications and talk to us about what to expect from your cleanse.